Dozens of Westchester County foster children will receive a bicycle and helmet as part of the "Bikes4Kids" initiative. Every child may be born to ride, but not every kid gets the opportunity – until now. Thanks to the Westchester Cycle Club and the Rye-based nonprofit Linking Handlebars, dozens of Westchester County foster children will receive a bicycle and helmet as part of the "Bikes4Kids" initiative. 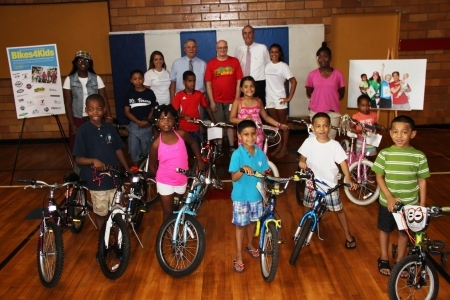 On Wednesday, July 2, the Westchester Cycle Club gave away its first bikes to 10 children ranging in age from four to 15 during an event at the White Plains YMCA. Since April, Bikes4Kids has collected and refurbished approximately 50 bicycles – and counting.